Keeping your smile healthy for life means having a good preventative care plan that includes regular check and cleans with your family dentist. For our patients with good oral health, we recommend a checkup every six months. Daily home care helps to prevent plaque biofilm from calcifying into tartar. But when small amounts gradually accumulate in hard-to-reach areas, that tartar will contribute to bad breath and gum disease. It can only be removed with dental instruments. Thorough scale and cleans help you to limit your risk of gum detachment and tooth loss over time. Gum infections such as gingivitis can be reversed if caught early. Symptoms such as tender or bleeding gums are some of the first signs to look for. But if conditions are not treated promptly, gingivitis can quickly evolve into active periodontitis. At this stage, the gums begin to recede, and bone loss or tooth mobility becomes a concern. Periodontitis isn’t just a risk to your smile; it is directly correlated with your overall level of health. Medical conditions including pneumonia, diabetes, infertility and cardiovascular problems are all linked with gum disease. It turns out that improving your oral health could, in turn, make it easier to manage other underlying health issues. We recommend brushing your teeth twice a day for a minimum of two minutes. Daily flossing is essential, to clean between your teeth. Water flossers make an ideal substitute for traditional floss, especially in tight or difficult areas to reach. 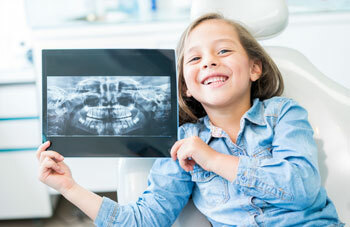 Contact Manningham Smiles Dentistry today to schedule you or your child’s check and clean!